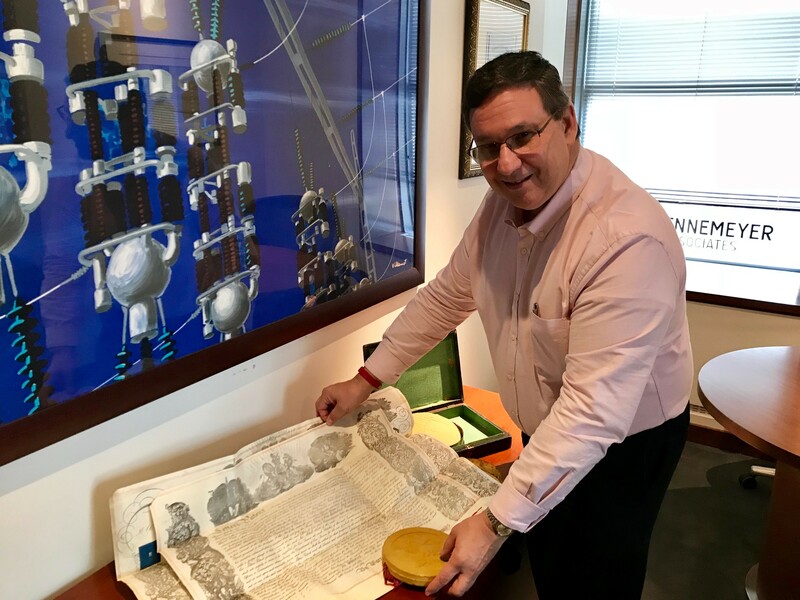 If you ever visit Daniel Gurfinkel in his Dennemeyer office in Chicago, Illinois you will find a portion of his extensive collection of historic patent memorabilia. Here, he is showing us a British patent from the mid-19th century. Note the large wax seal attached to the patent, in his left hand. Dennemeyer's Associate Spotlight is a monthly feature highlighting our team of dedicated professionals who work in 21 offices around the globe. Get to know Daniel Gurfinkel, Principal of Dennemeyer & Associates US and a Registered U.S. Patent Attorney. With more than 30 years of experience in patent and trademark prosecution and the general practice of law, Daniel Gurfinkel's practice has covered everything from large multi-state firms to small patent boutiques. He was instrumental in helping to start the Chicago office of Dennemeyer & Associates. Something you might find interesting about him is that he is a collector of antique patent and trademark memorabilia which includes patent models and even a few presidential patents! Learn more about him in our 9-question interview series below. Patent and Trademark prosecution, but I mostly work with the client to identify and protect ideas and their implementation. Every new matter can become a favorite matter -- I have worked on litigation that included the very well-known Roberts V. Sears patent infringement matter; I have protected new and unusual designs in the USPTO when it was not thought protection could be secured; I have helped overcome government regulation on labeling with the strategic use of trademarks; protected the instruction sheet of a device with a copyright that was finally instrumental in stopping both a patent and trademark infringement. All in all, counseling clients on the value and importance of their IP becomes the most favorite task I do. I hope that we could get Ryan Gosling, but I'm sure my colleagues here would suggest Mr. Bean or Pee Wee Herman! 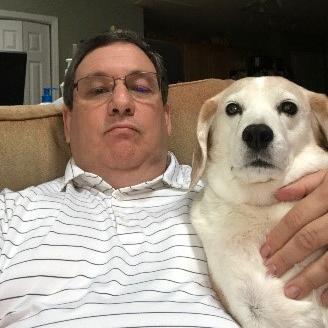 This is a picture of me and my dog, Pinky. We have the same expression! The company has wonderful people working for it - these people have a depth of knowledge in the IP world and a generous spirit for offering valuable solutions to IP issues. I'm actually pretty good with handyman tasks about the house. I like to call professionals to my house to correct my attempted handyman tasks! When I graduated from law school my parents gave me a watch to commemorate that milestone, that watch is my most treasured possession. I was born in Havana, Cuba and left there at a very young age at the time of the Cuban revolution.